We have gained a huge appreciation in the market by offering an excellent array of Magnetic V Blocks. Price varies from Rs 18500/- to Rs 38000/- based on the specification of the products. Toolfast’ Magnetic V-Blocks are precision ground V-Blocks with high power magnets. Accurately fitted magnet ensures easy movement of knob. Available in single as well as matched pairs. 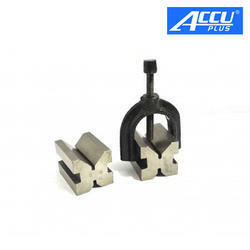 Magnetic V-Blocks are precision ground V-Blocks with high power magnets. 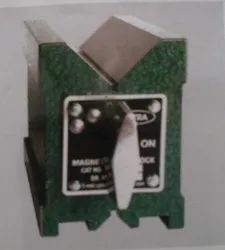 Accurately fitted magnet ensures easy movement of knob. Available in single as well as matched pairs. These V-blocks have main holding 'V' and bottom face fitted with hardened steel plates having hardness 52-56 HRC.